We come into agreement with Your word in Romans 13:1 “Let every soul be subject to the governing authorities” we decree and declare in this nation streets will be safe, communities secure and the lives of individuals unhindered by fear or violence; we decree the rule of law will be desired and respected, supported by all those who carry a voice within the land. We declare those called to bring transformation to the hard places will carry God given vision, love and compassion into every deprived area within our cities and towns, that streets and communities, even no-go areas will be transformed by the light of the gospel, and we declare in this season, nothing is impossible to You. We release dreams, encounters and revelations of Jesus. 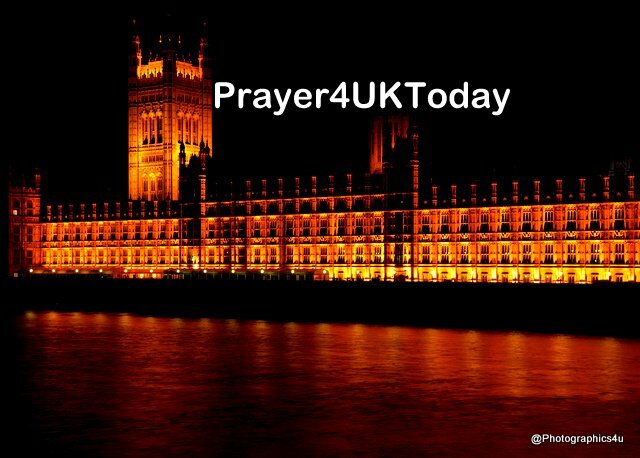 Now we call God’s people to praise and to worship, that the peace which passes all understanding will rest upon this nation, that God’s will and God’s purpose will be established in the hearts and minds of every MP and every minister. We decree every shift, change, and negotiation will further God’s purpose for the United Kingdom, and we declare His Majesty, His Glory and His Kingdom will again blaze across this land.